On this week-long Pragmatic Dharma Meditation Retreat, led by Kenneth Folk and Vincent Horn, you'll have the rare opportunity to dedicate yourself to uninterrupted practice in a community of peers. This will be a silent, self-guided retreat with occasional periods of social meditation. 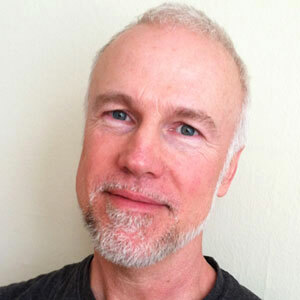 Kenneth Folk is an instructor of meditation who has received worldwide acknowledgement for his innovative approach to secular Buddhist meditation. After twenty years of training in the Burmese Theravada Buddhist tradition of Mahasi Sayadaw, including three years of intensive silent retreat in monasteries in Asia and the U.S., he began to spread his own findings, successfully stripping away religious dogma to render meditation accessible to modern practitioners. He has been recognized by Wired Magazine as an influential voice in Silicon Valley’s tech culture, a "power player of the mindfulness movement." Vince Horn is part of a new generation of teachers translating age-old wisdom into contemporary code. A computer engineering dropout turned full-time contemplative, Vincent spent his 20s co-founding the ground-breaking Buddhist Geeks Podcast, while simultaneously spending a full year, in total, on silent retreat. Vincent began teaching in 2010 and has since been authorized in both the pragmatic dharma lineage of Kenneth Folk, as well as by Trudy Goodman, guiding teacher of InsightLA. Vincent has been called a “power player of the mindfulness movement” by Wired magazine and was honored to be featured in Wired UK’s “Smart List: 50 people who will change the world.” He currently lives in North Carolina with his partner Emily and their son Zander. Think Asian Zen elements mixed with a charming restored tobacco barn, all nestled in a nature haven surrounded by the majestic Blue Ridge mountains, one of the oldest mountain ranges in the world. The Bend of Ivy Lodge facilities provide a comfortable and beautiful place to meditate, sleep, and care for ourselves as we go into retreat. The land provides a serene and peaceful outdoor space with hiking trails, long mountain views, some local goats, quiet woods, and a glade of trees by the river. It is a serene environment for meditative adventuring. Gluten-free & Dairy-free options will be provided for both vegetarians and omnivores. Omnivores will have a meat-protein option each day at lunch. The food will be delicious & healthy, with many of the veggies actually coming from an organic farm that operates on the property. There are 16 beds available in the main lodge, all of which are in double rooms. Car travel is doable if you live in or near the Southeast. While the retreat center is in a secluded location it's also only 7 miles off of the Interstate 24. We will not be coordinating any ride sharing to the retreat center from the airport, but there will be time to connect at the end of the retreat to see if anyone needs, or can offer, a ride from the retreat center. The cost of this week-long retreat is $1,400 USD. This fee covers food, lodging, and a small administrative fee. It does not cover the teachers pay, which operates based on the generosity model. At the end of the retreat you'll have an opportunity to participate in the generosity model, which involves making a donation to the teachers. There is no recommended amount to donate, as this is very much about the practice of unscripted generosity. This retreat is put on by Buddhist Geeks, an educational 501(c)3 non-profit, so all teacher donations are tax-deductible. If you need assistance attending this retreat, you can apply for a scholarship through the Open Dharma Foundation. We'd also strongly encourage you to donate to the Open Dharma Foundation, if you have the resources, as they support a lot of serious yogis wanting to take their practice deeper. Late cancellations make it difficult to give someone else the opportunity to attend. Should you need to cancel, please contact us immediately.